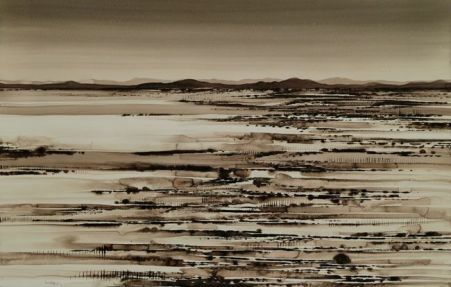 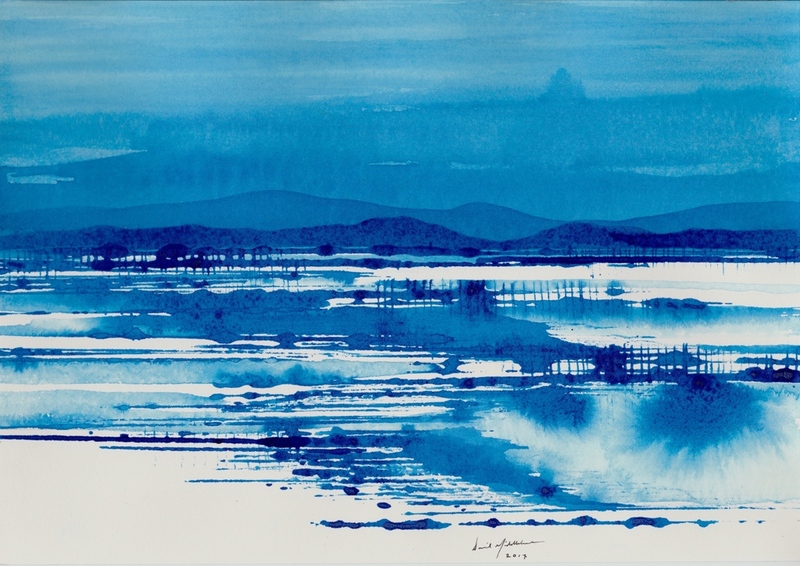 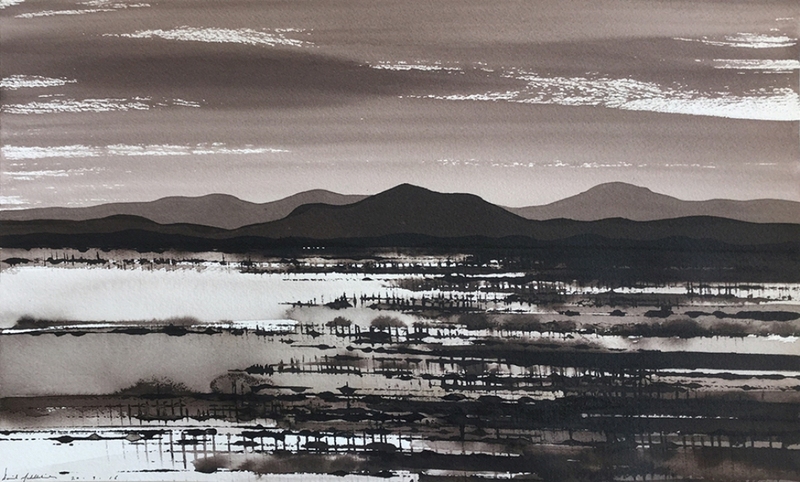 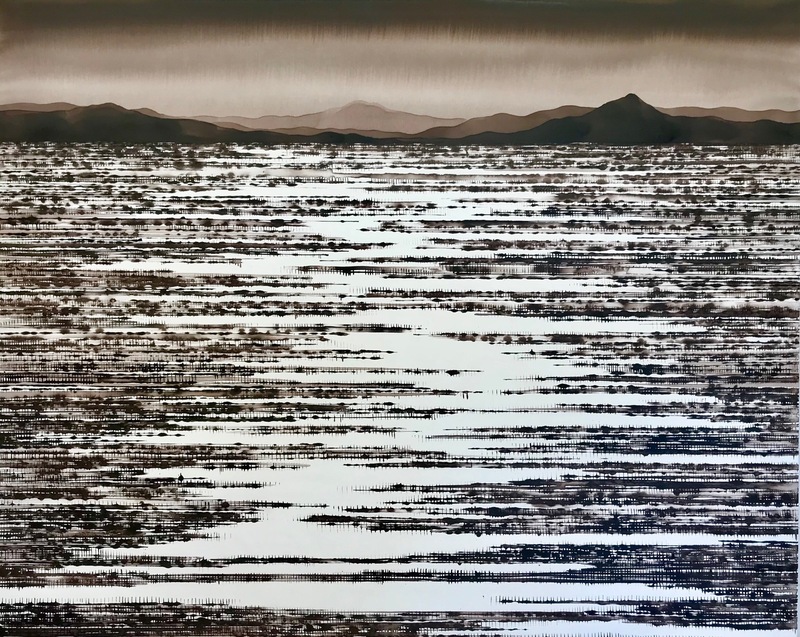 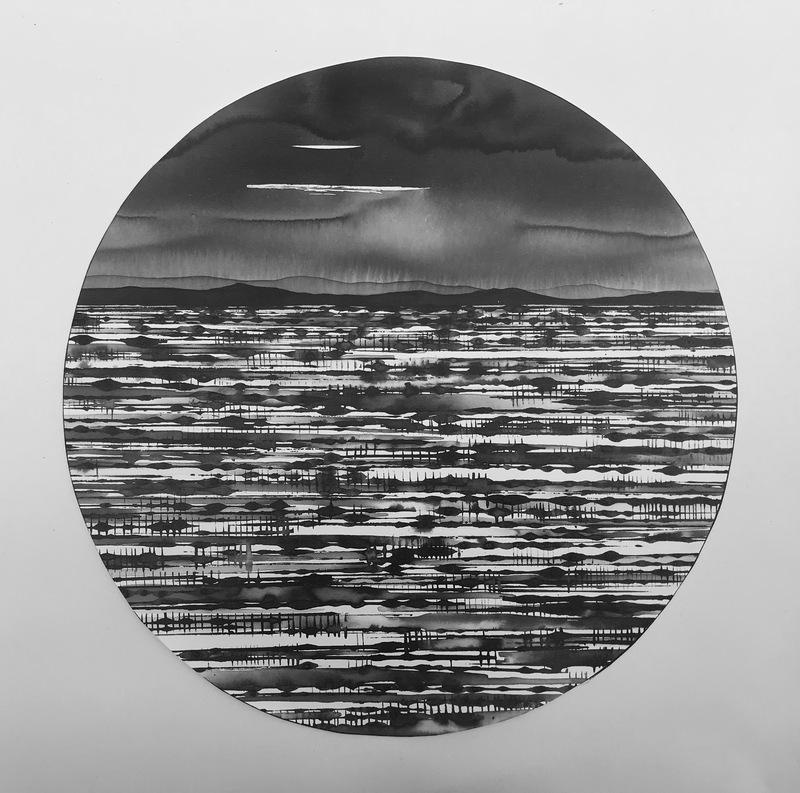 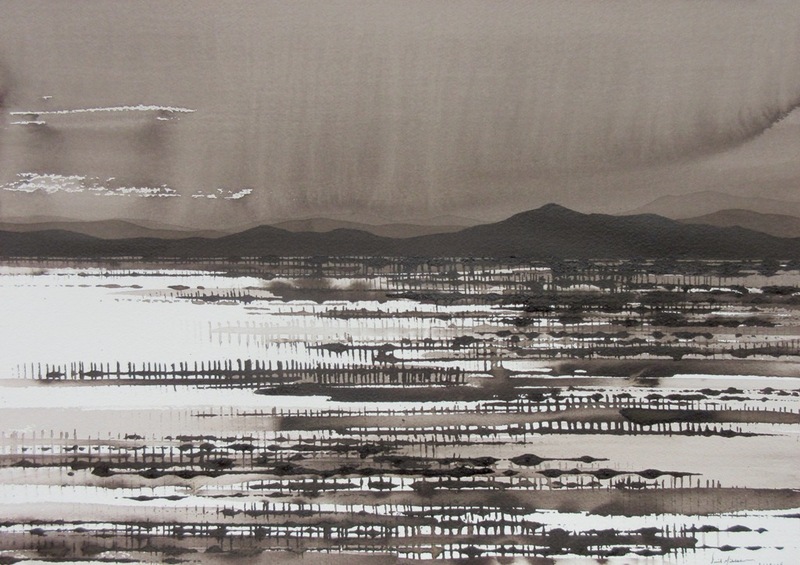 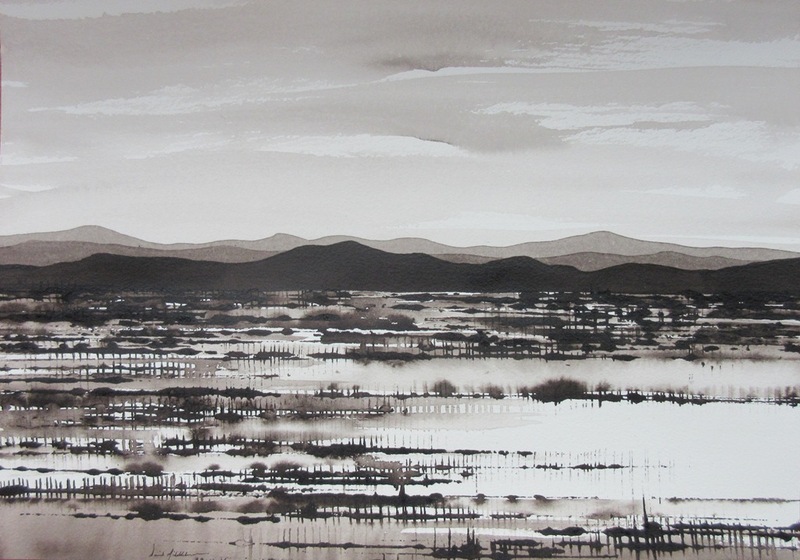 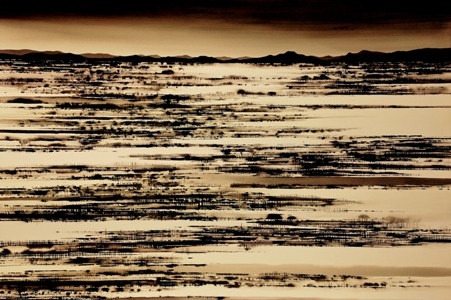 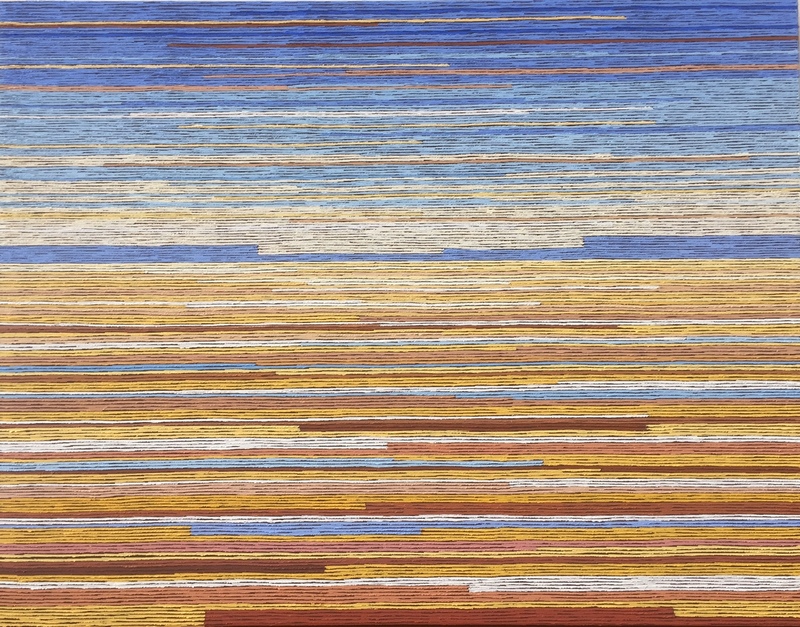 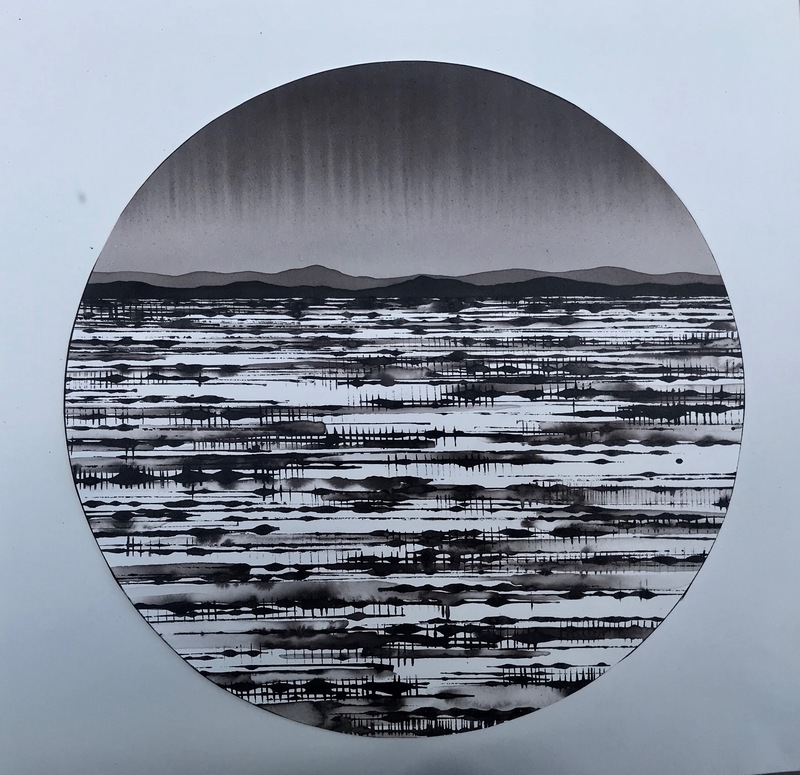 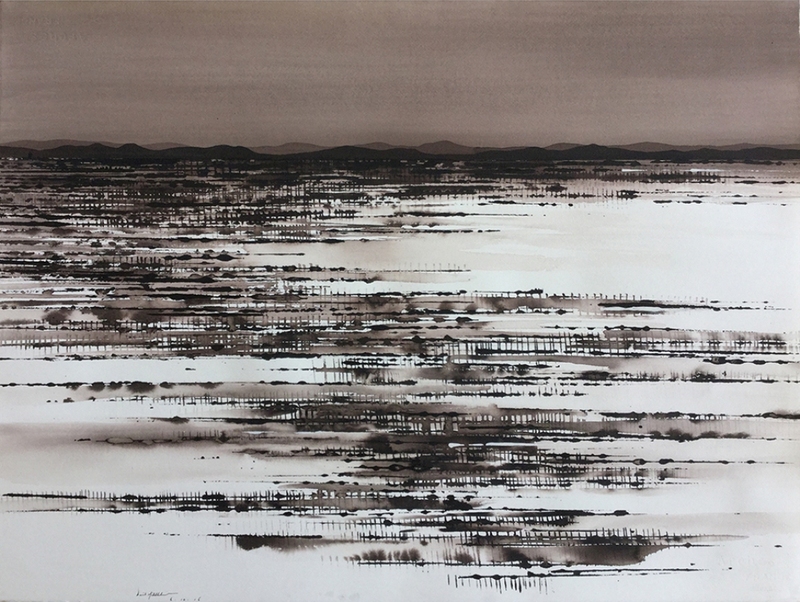 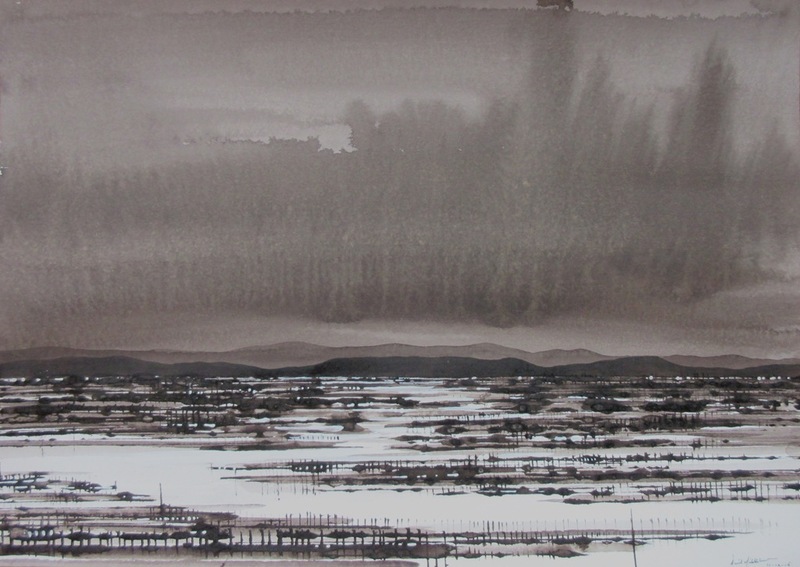 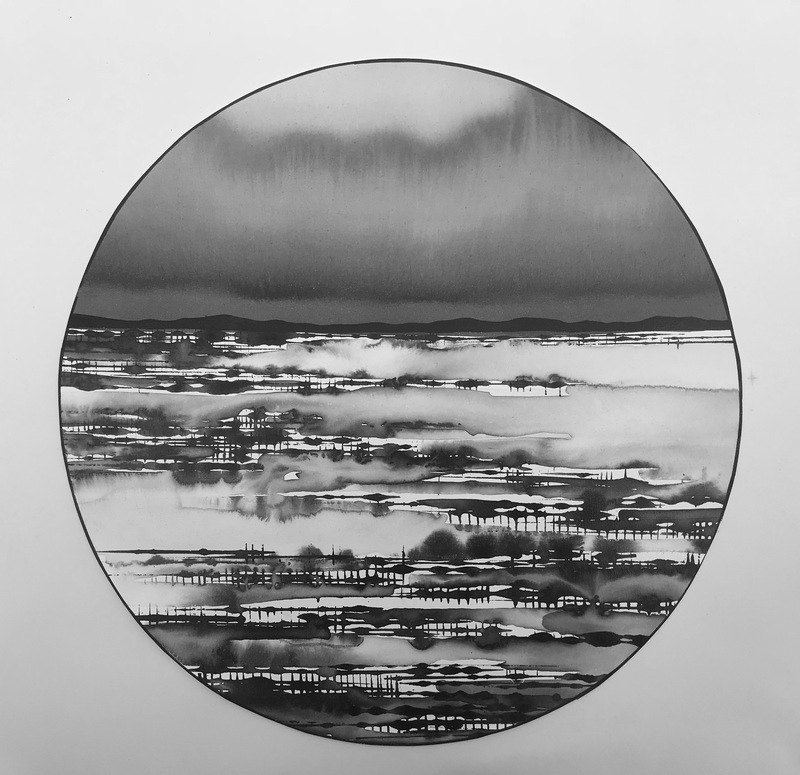 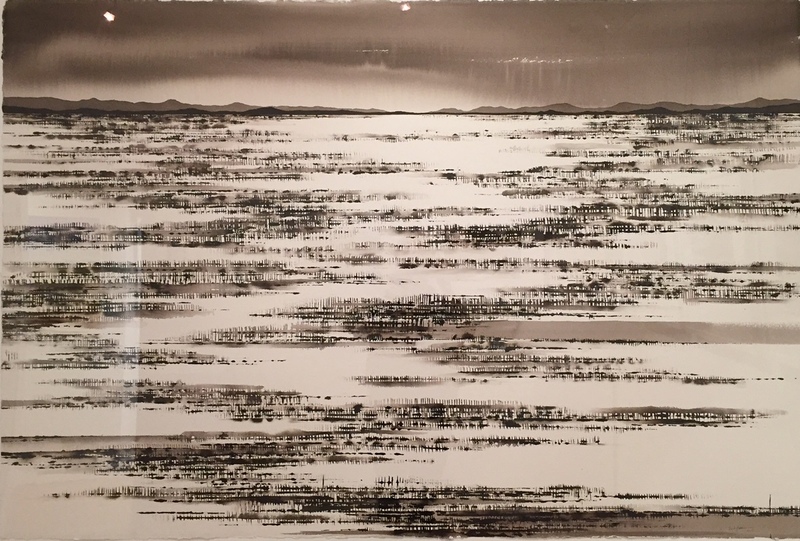 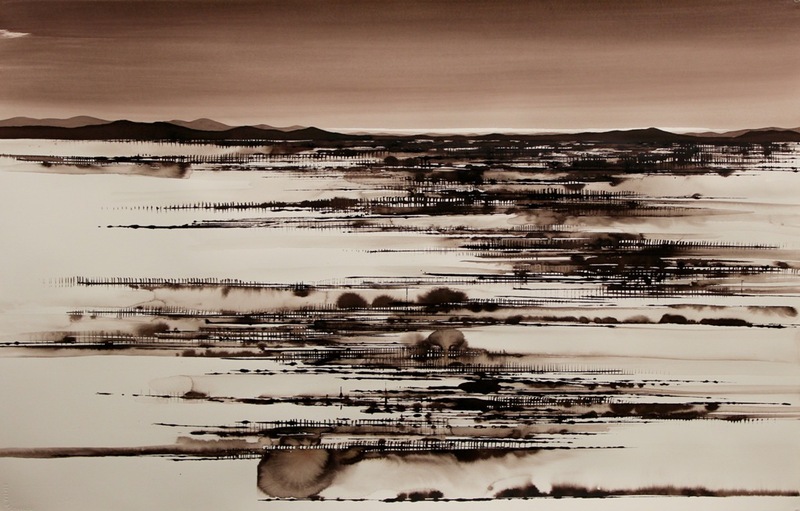 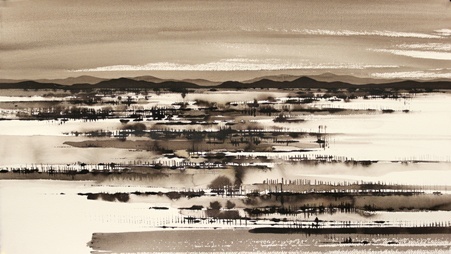 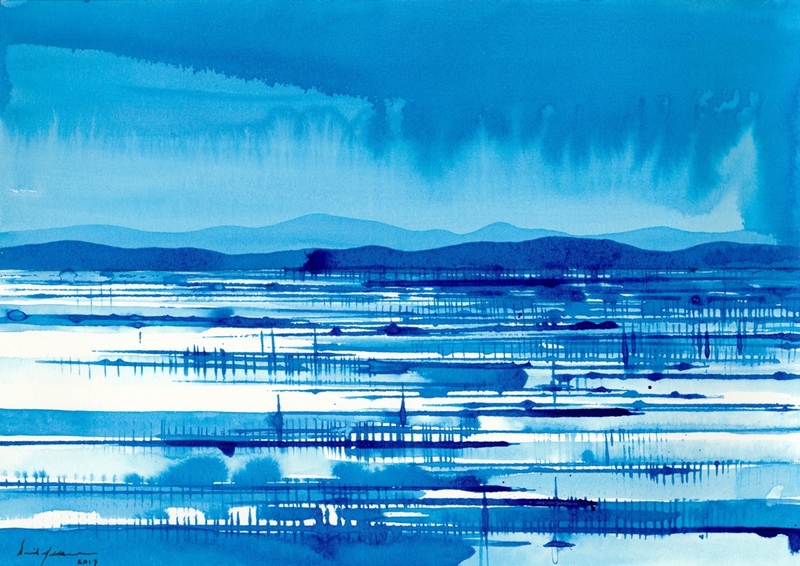 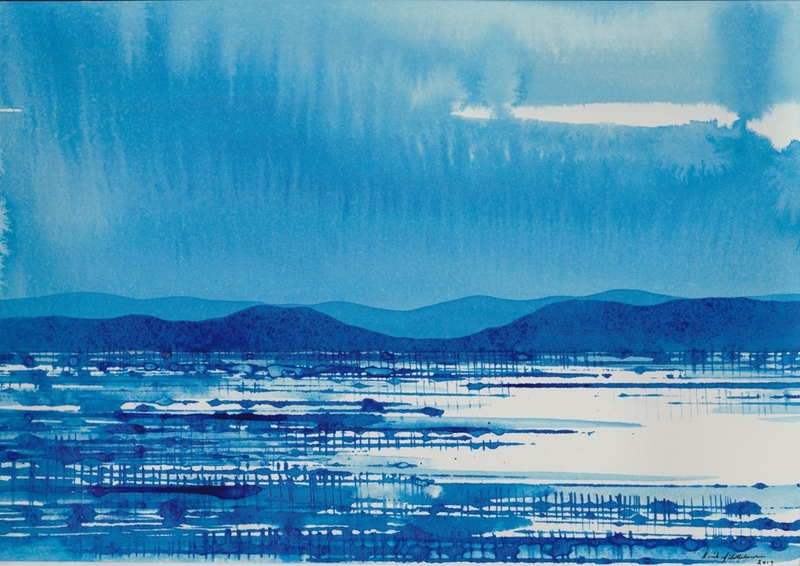 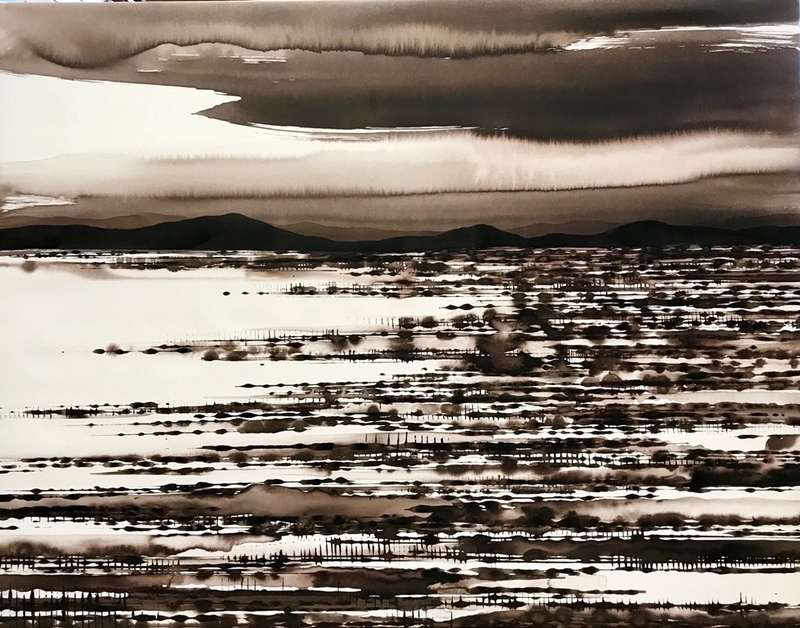 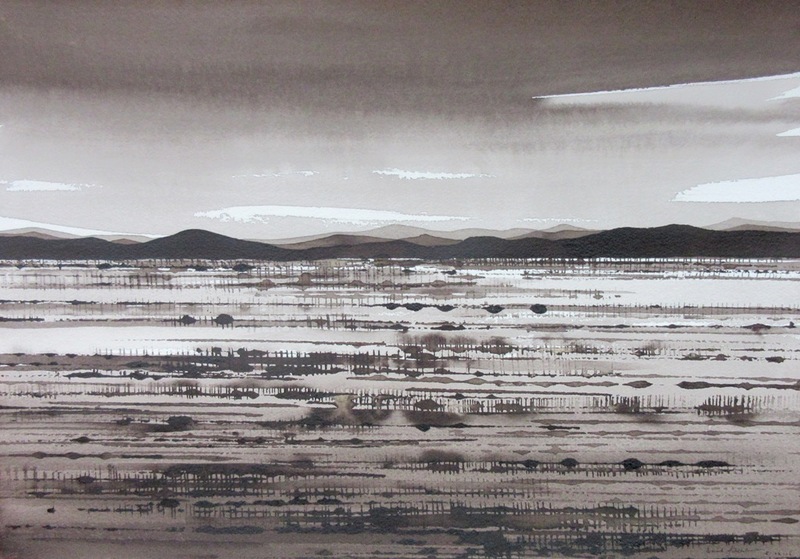 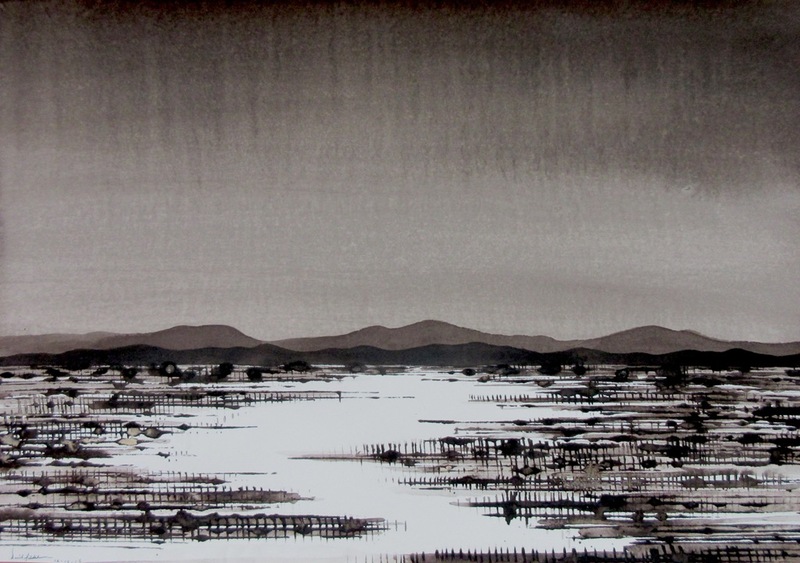 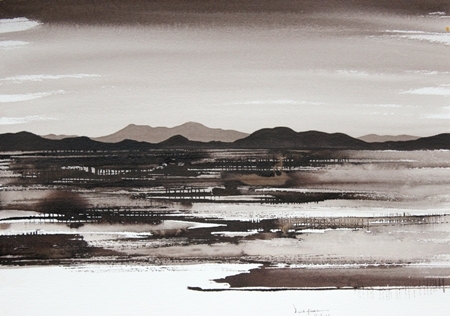 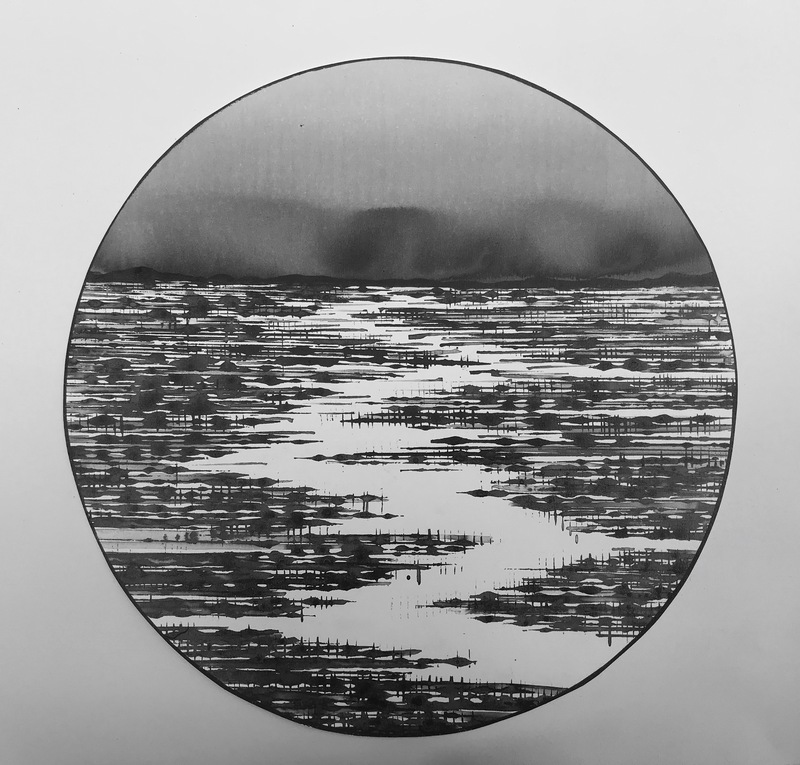 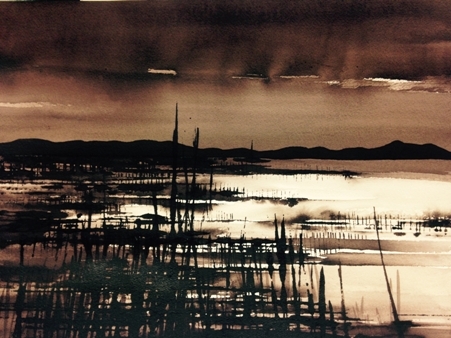 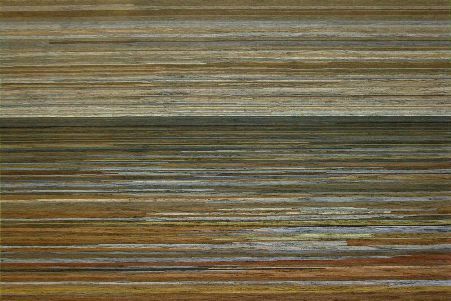 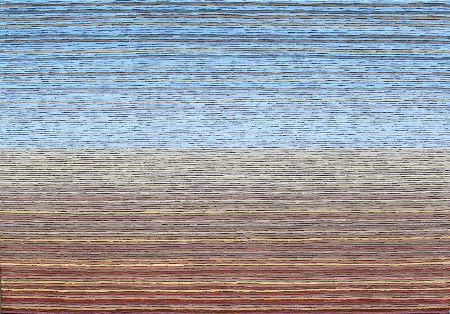 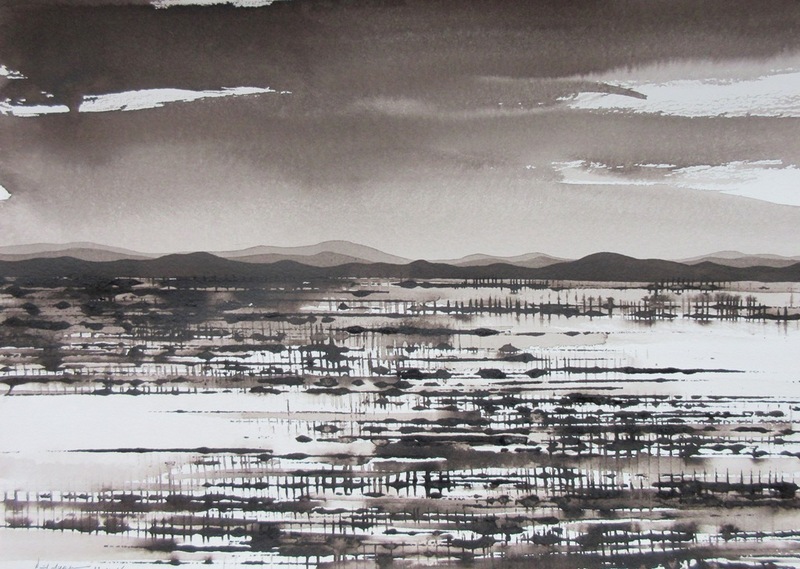 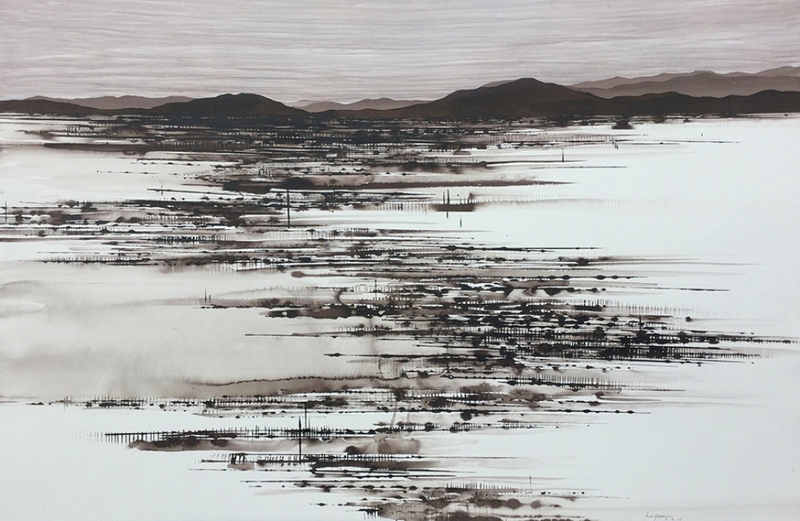 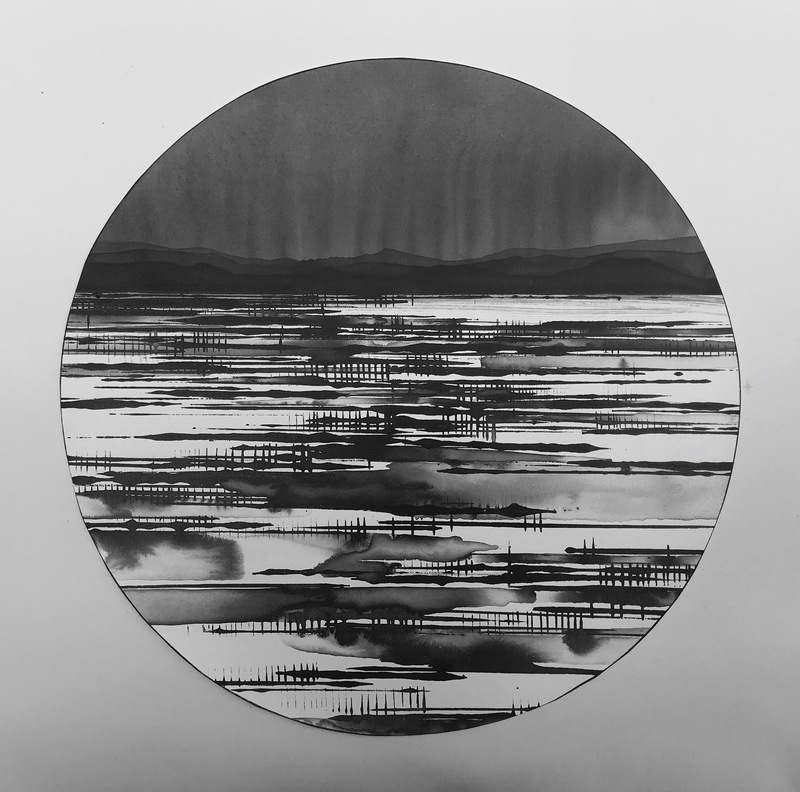 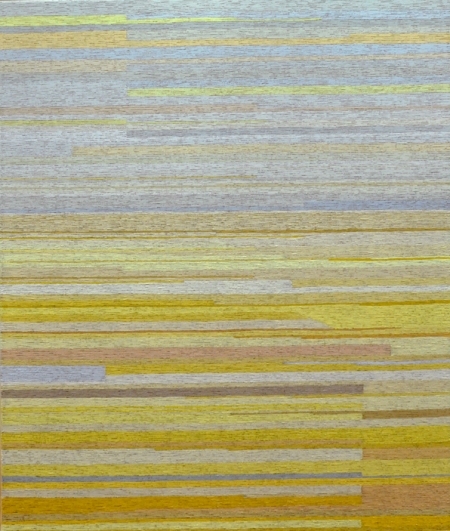 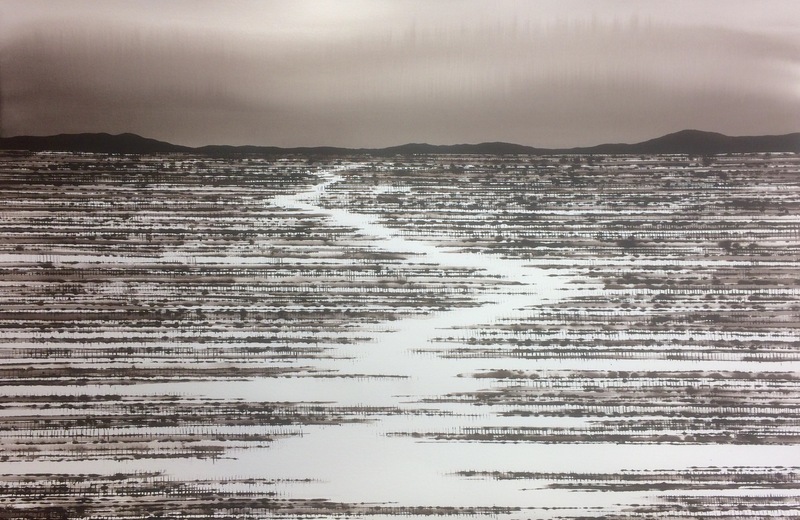 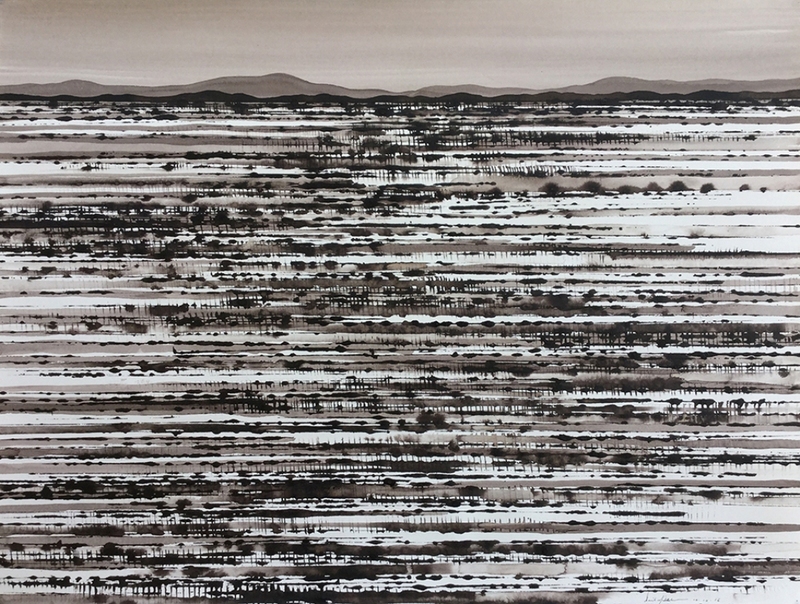 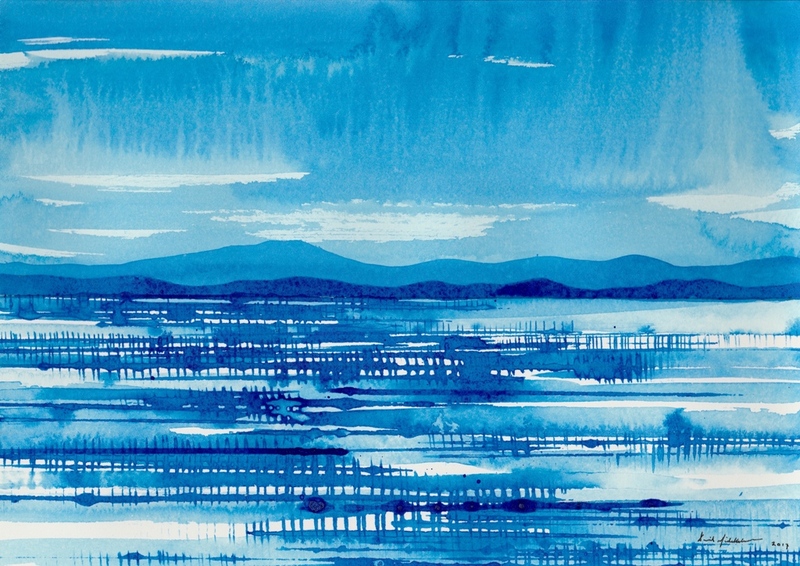 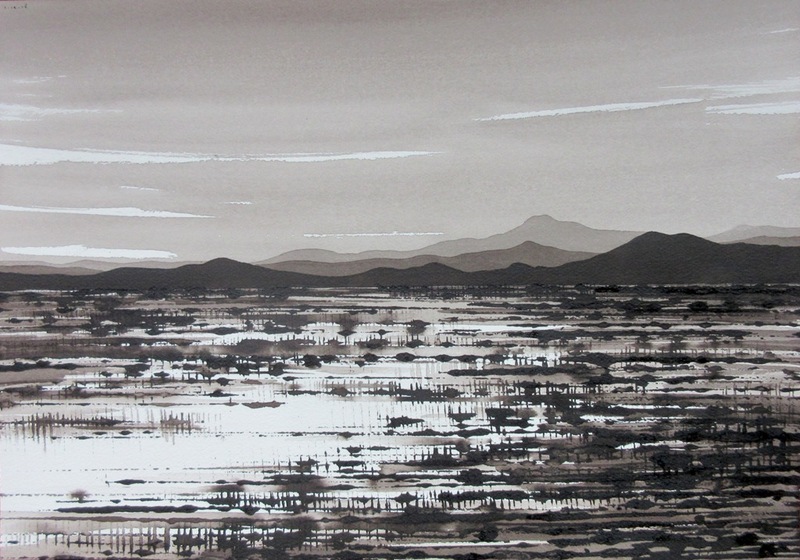 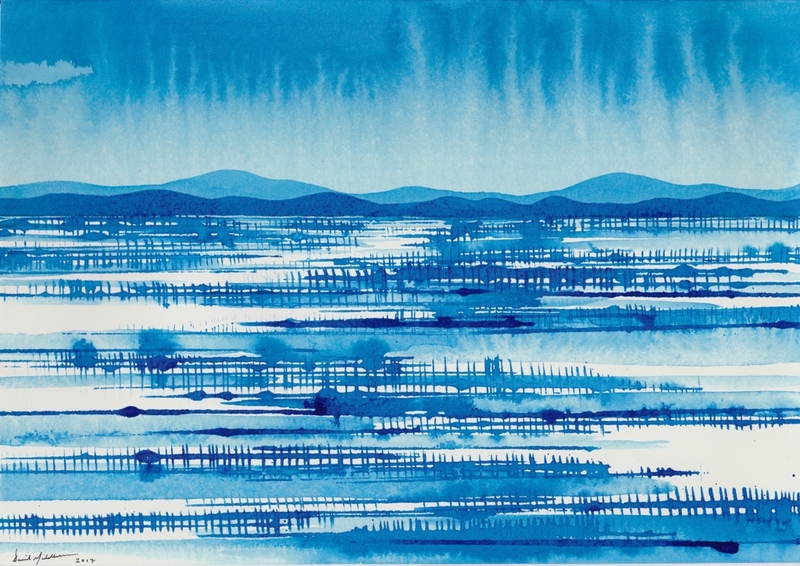 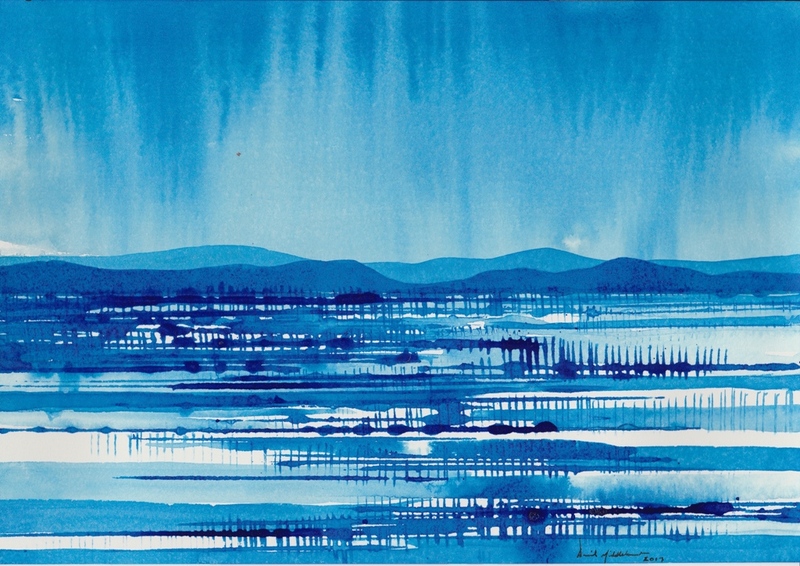 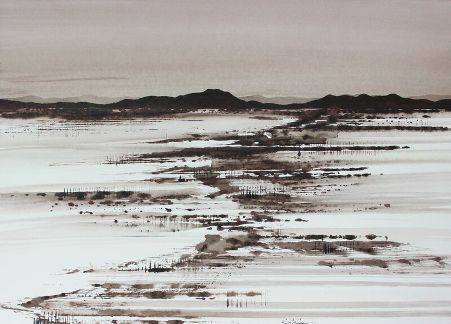 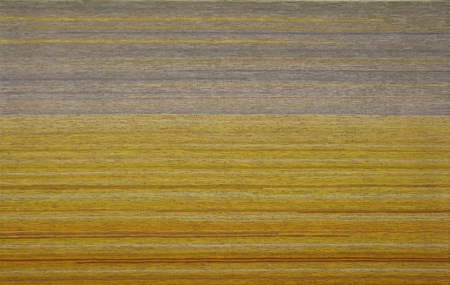 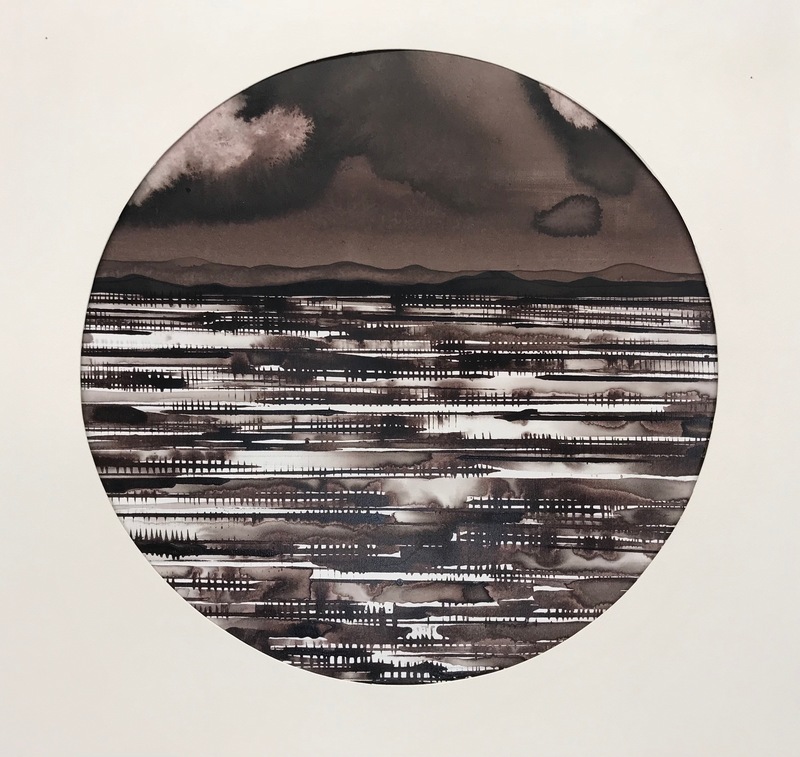 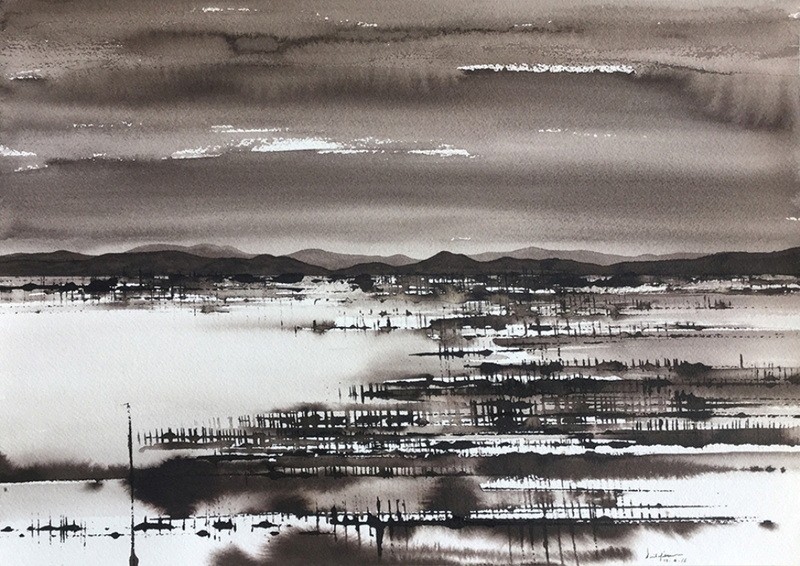 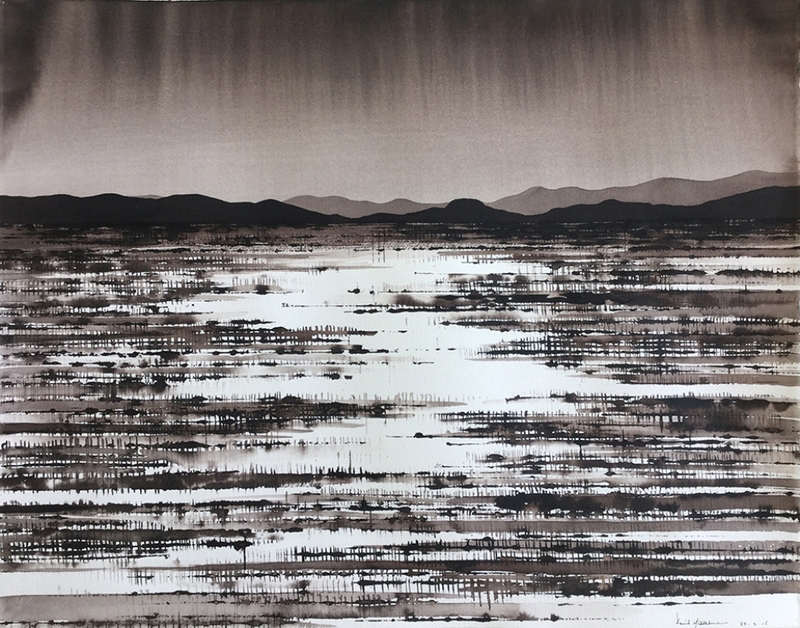 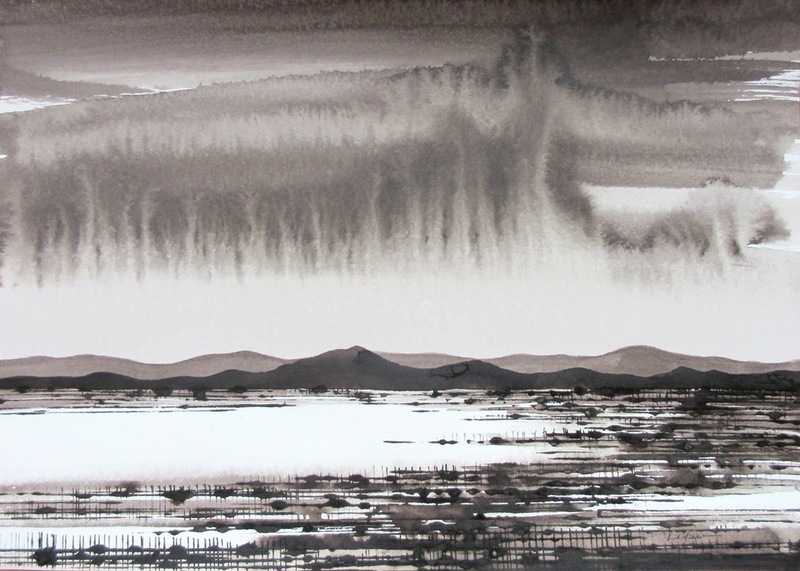 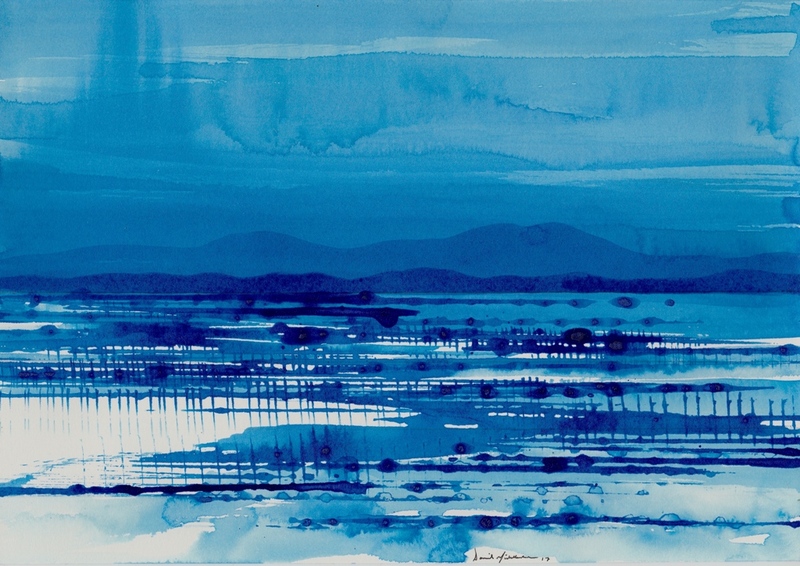 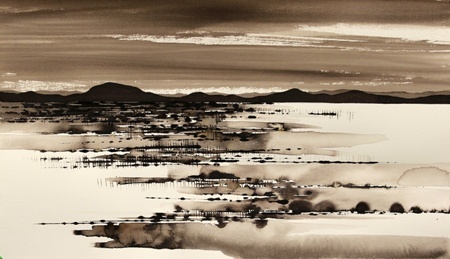 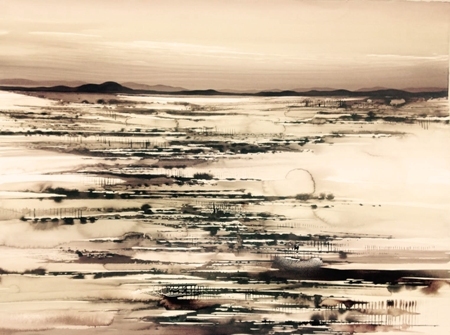 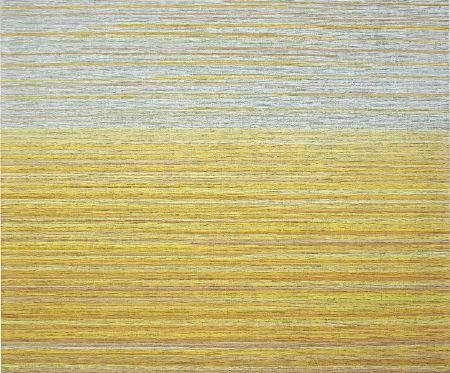 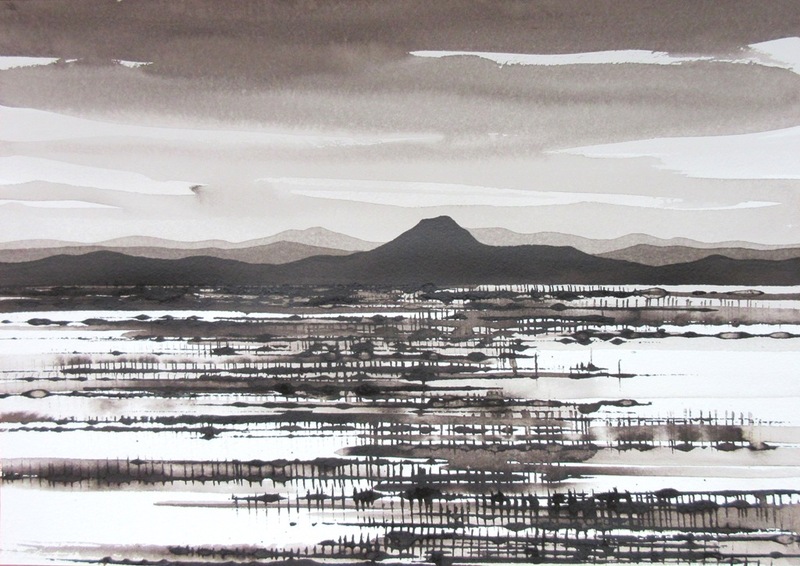 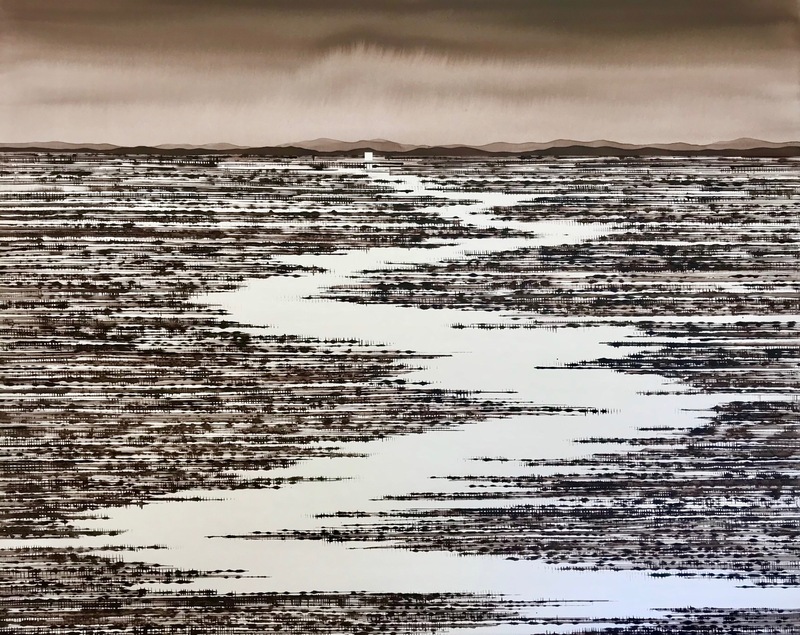 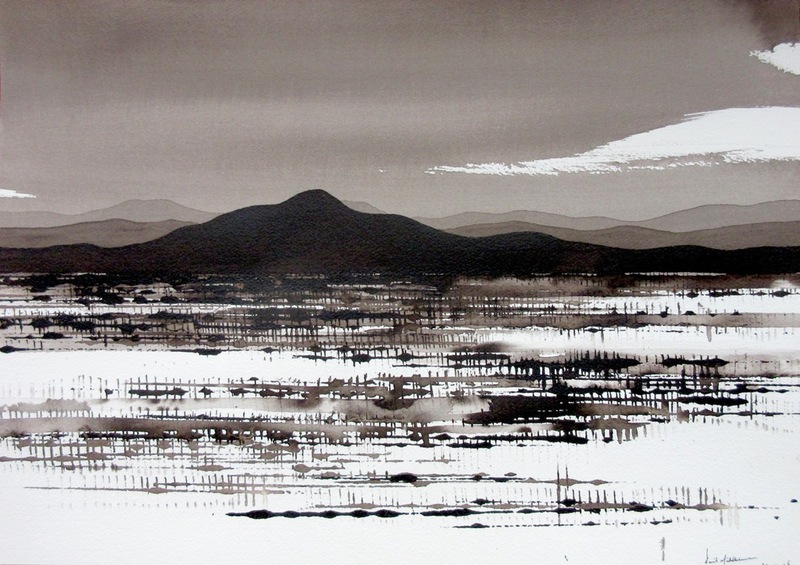 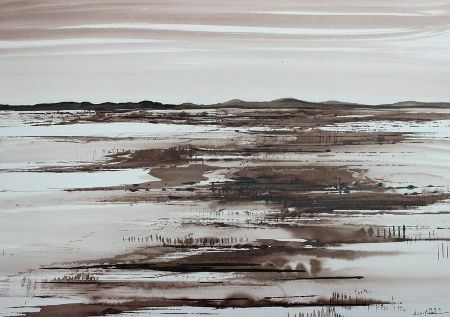 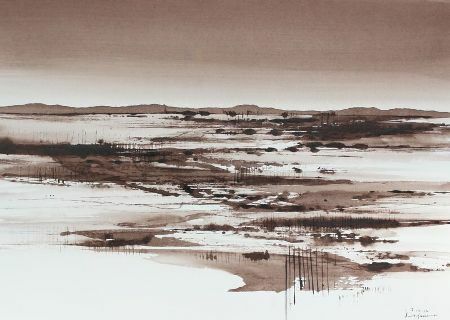 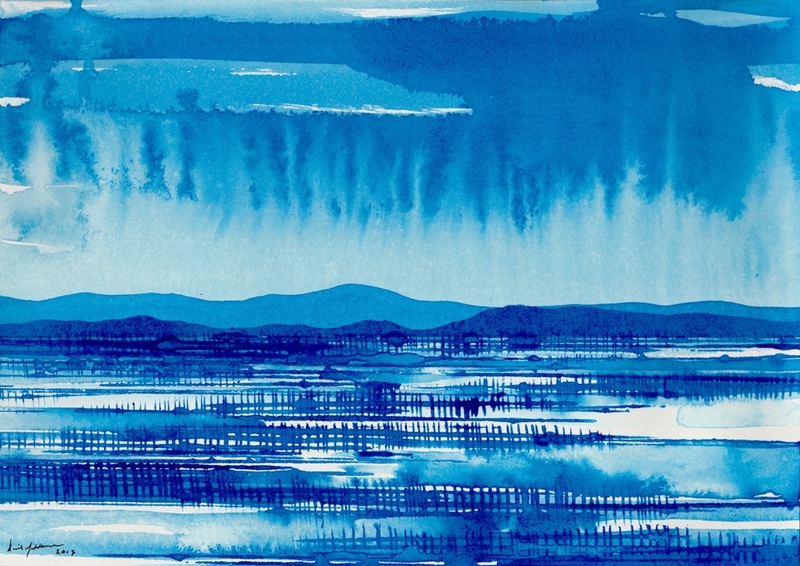 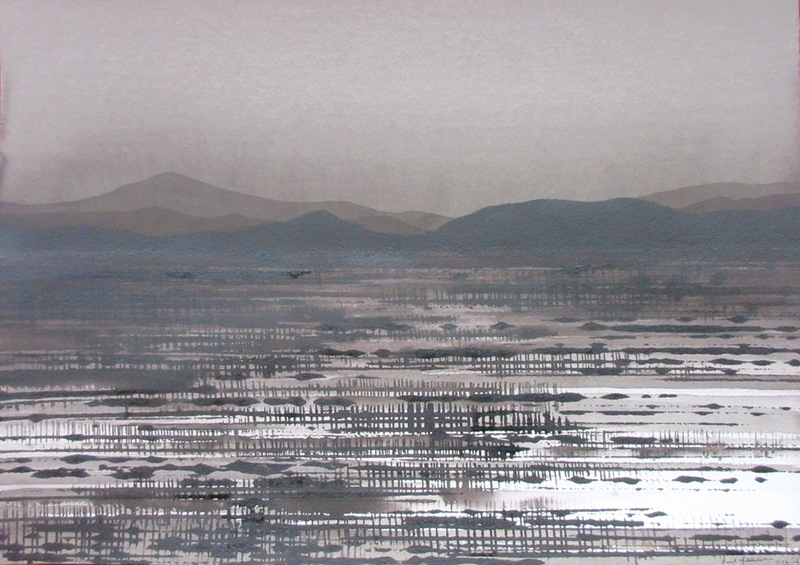 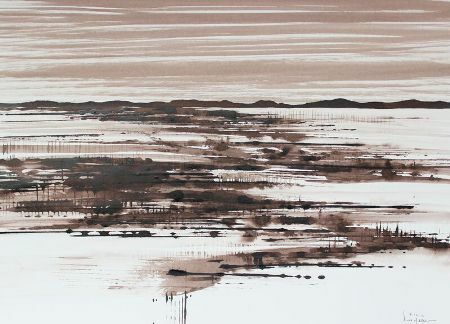 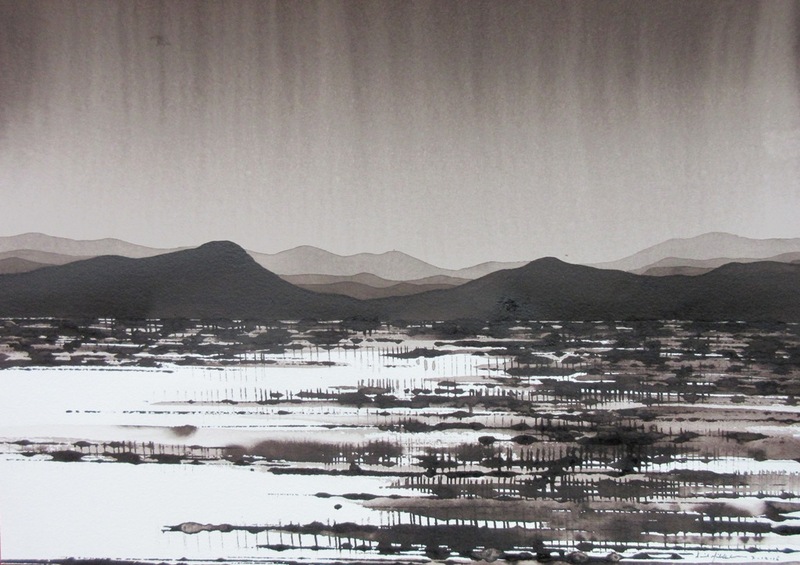 David Middlebrook developed his vision of the Australian landscape exploring the impact of the horizon in different media. 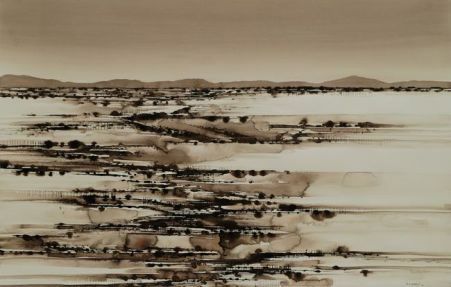 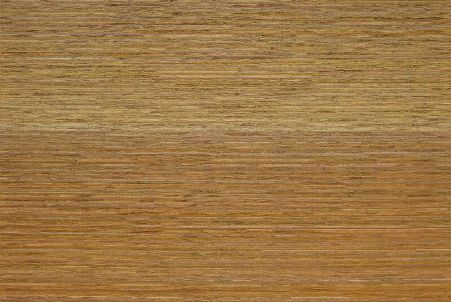 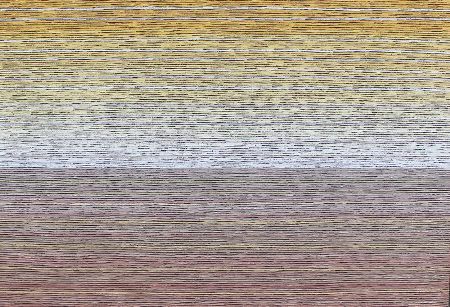 He had travelled to various outback areas of Australia including the Aboriginal art community at Utopia and had collaborated with Ada Bird Petyarre, artist, while he was undertaking his research for his PhD degree. 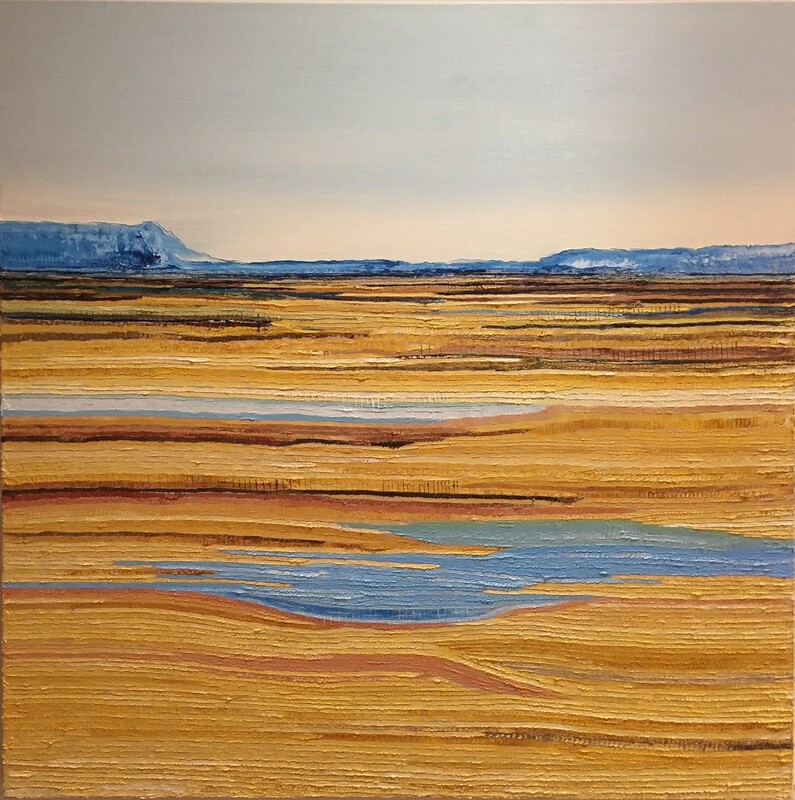 David enjoys spending time painting with other artists and is on regular field trips painting with other artists living in the Blue Mountains. 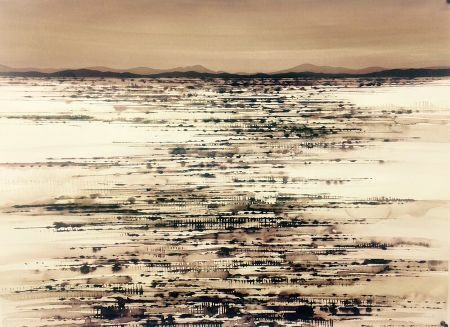 David Middlebrook was born in Gloucestor, New South Wales and completed his Bachelor of Arts/Visual Arts degree at University of Newcastle in 1990. 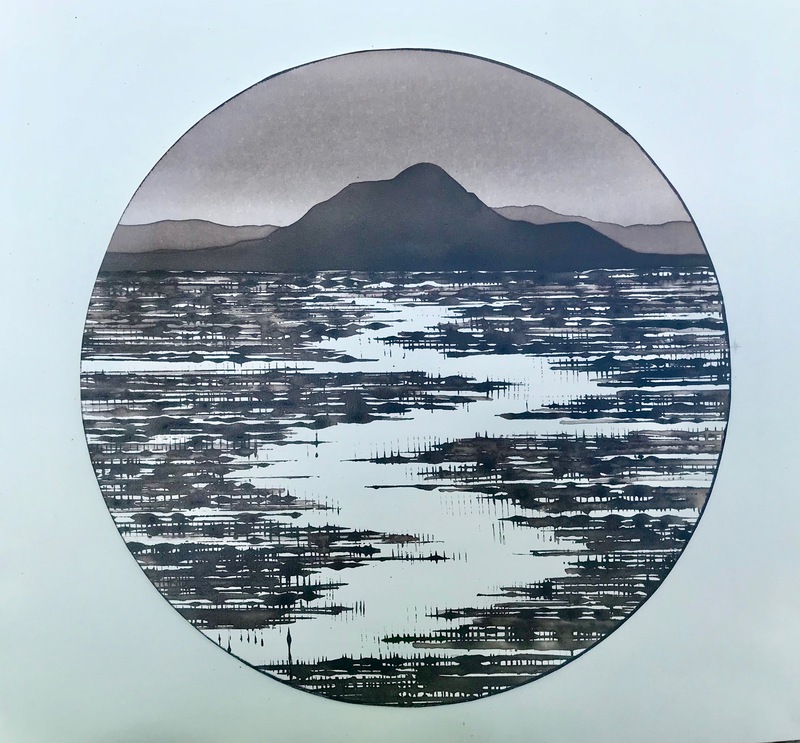 He undertook and completed his PhD degree at University of Newcastle in 2006 with his thesis on Exploring the Horizon, a Journey with Voss and Ada. 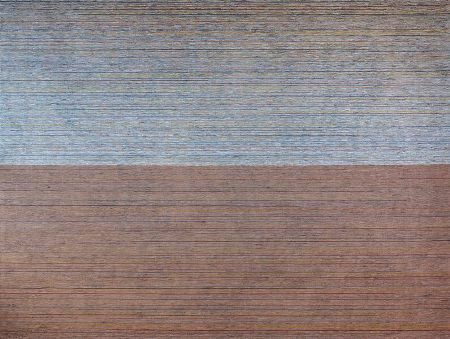 David Middlebrook was a Lecturer in Painting, Drawing and Art History at University of Newcastle from 2007 to 2013. 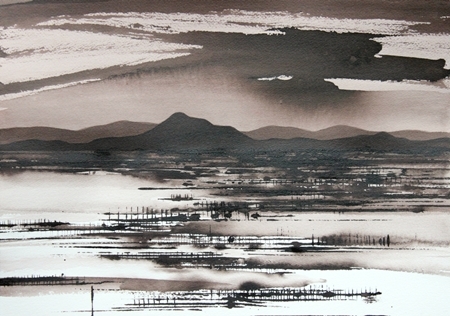 He moved to Medlow Bath in Blue Mountains in 2010. 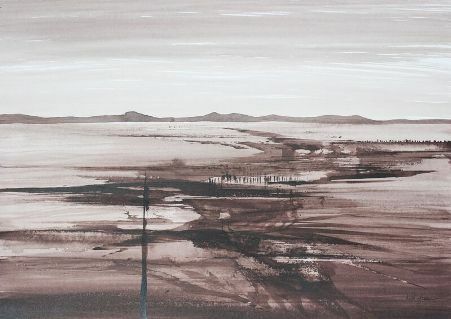 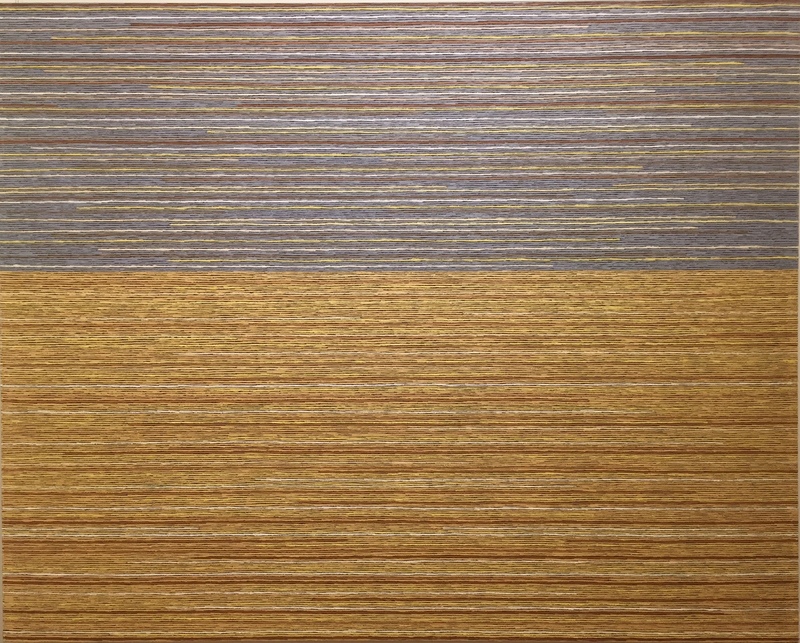 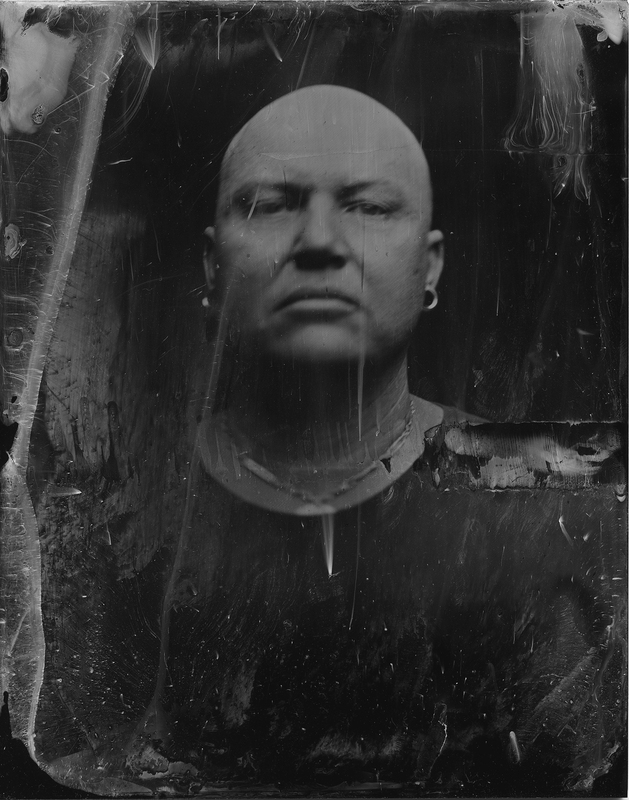 David Middlebrook had exhibited extensively in numerous solo exhibitions throughout Australia. 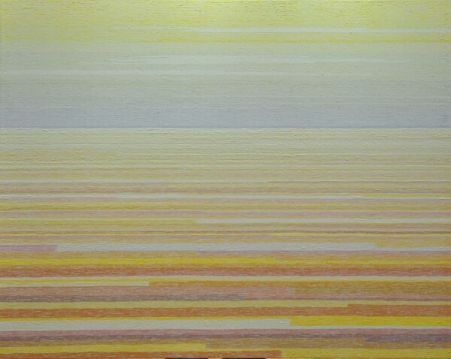 He was a finalist numerous times in Tattersall’s Bendigo Bank Art Prize, Brisbane, including being a winner of the art prize in 2002. 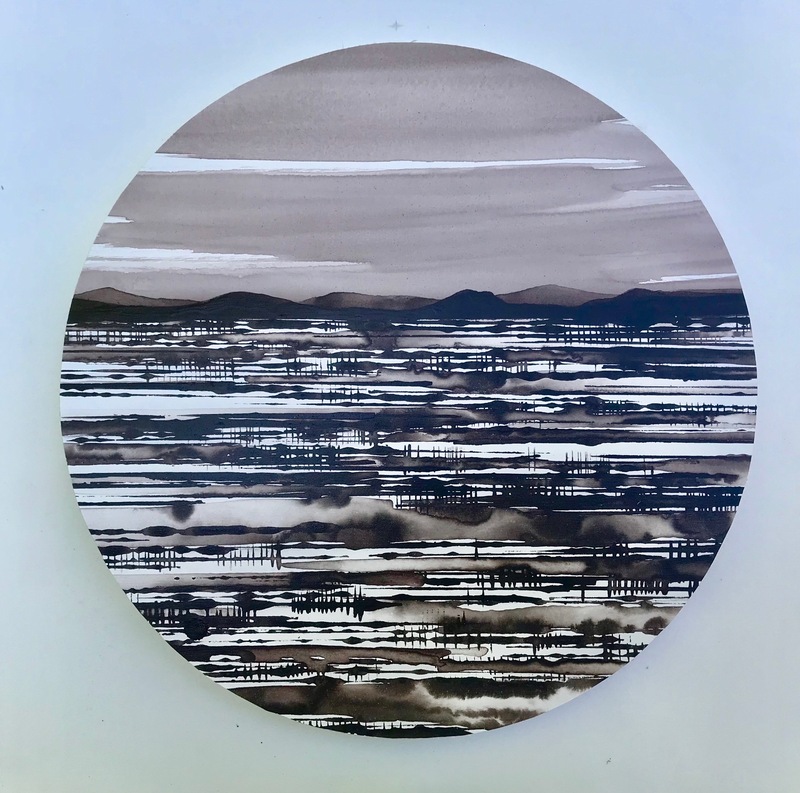 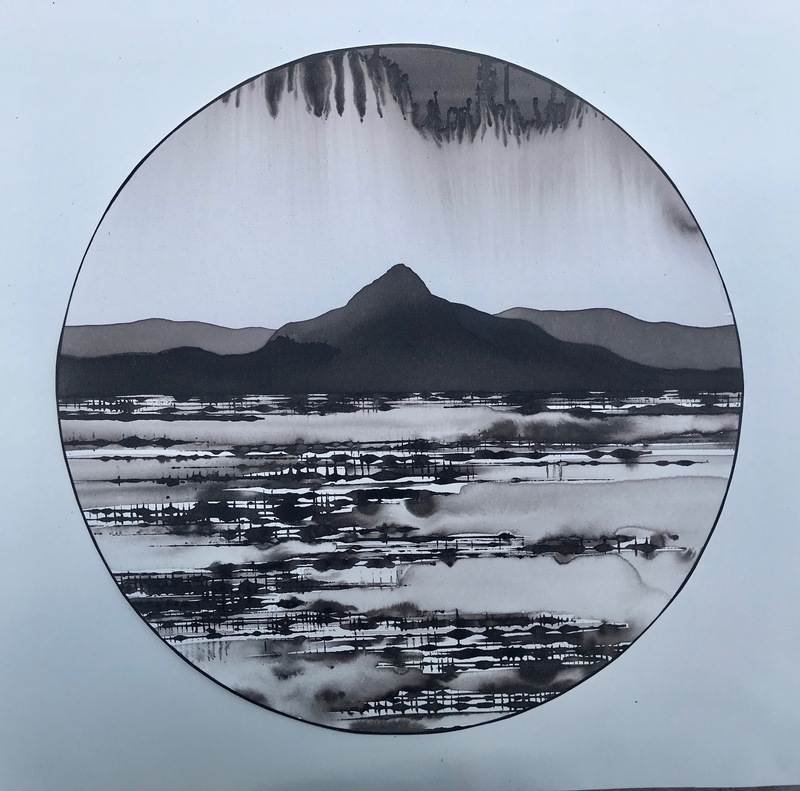 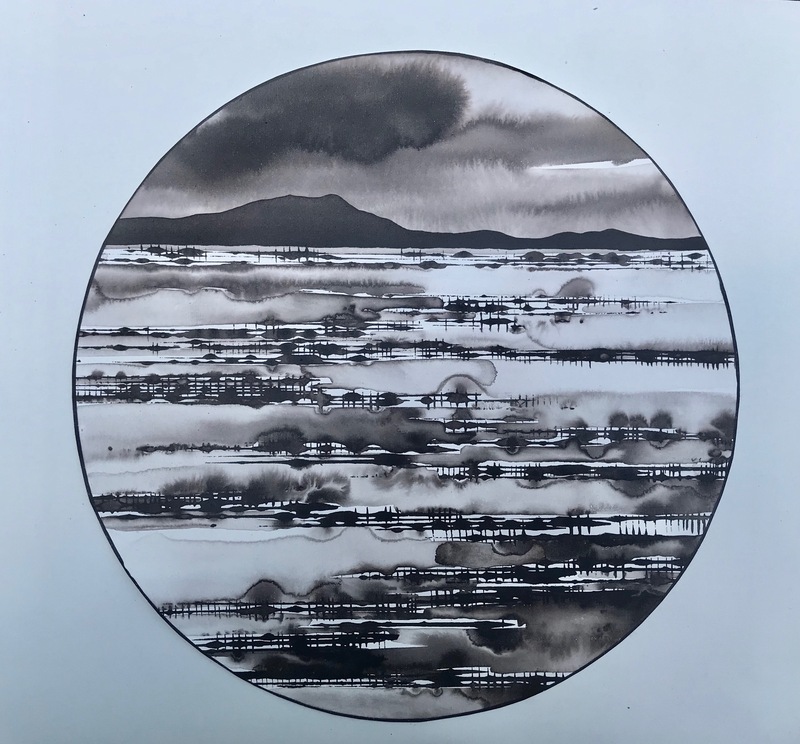 David Middlebrook was a finalist in the Paddington Art Prize in 2013 and he was also selected to exhibit in the Beijing International Art Biennale in 2017. 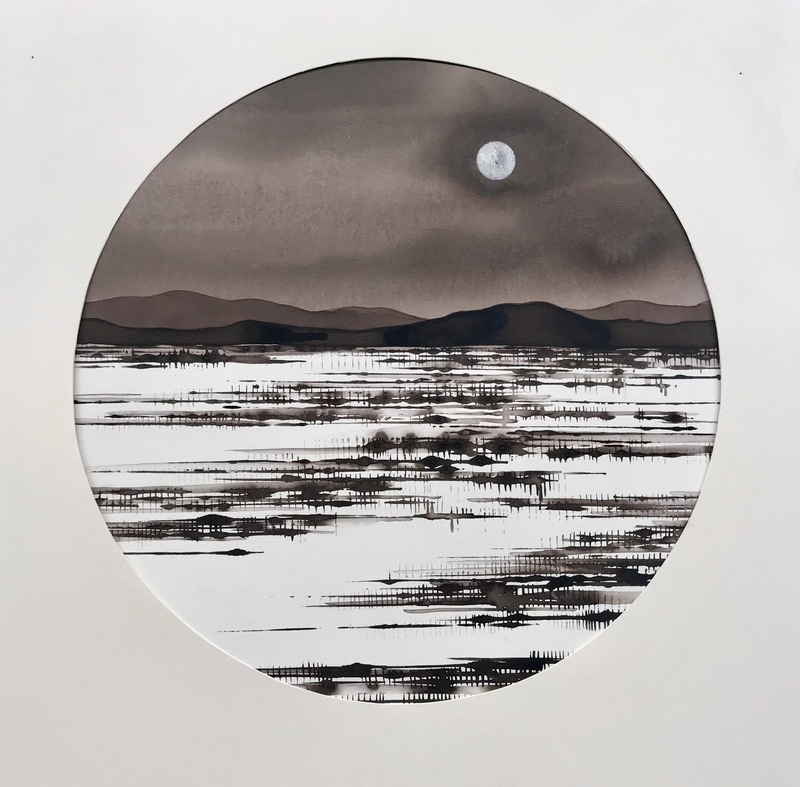 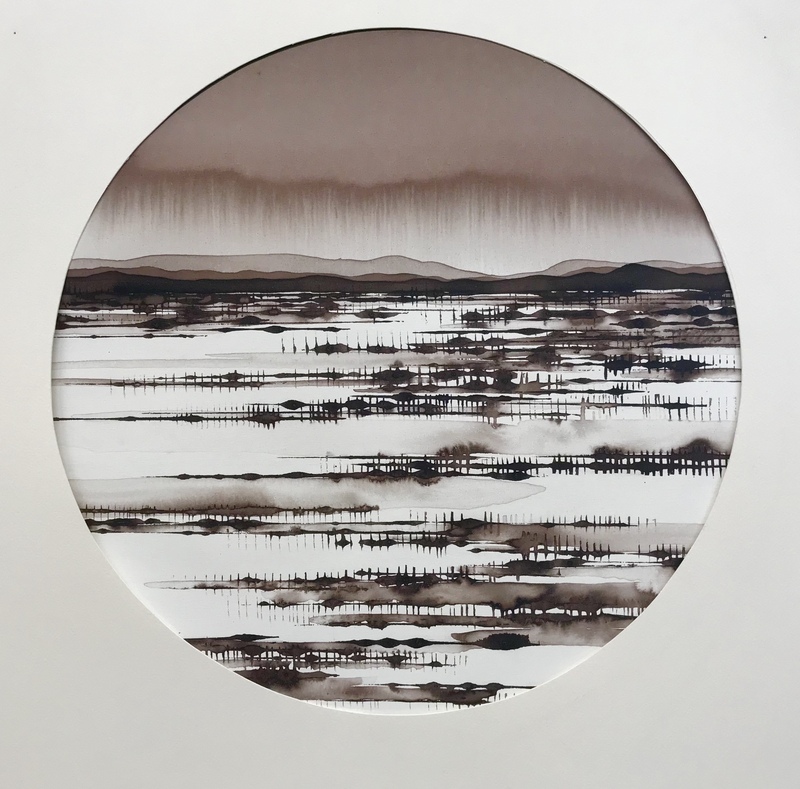 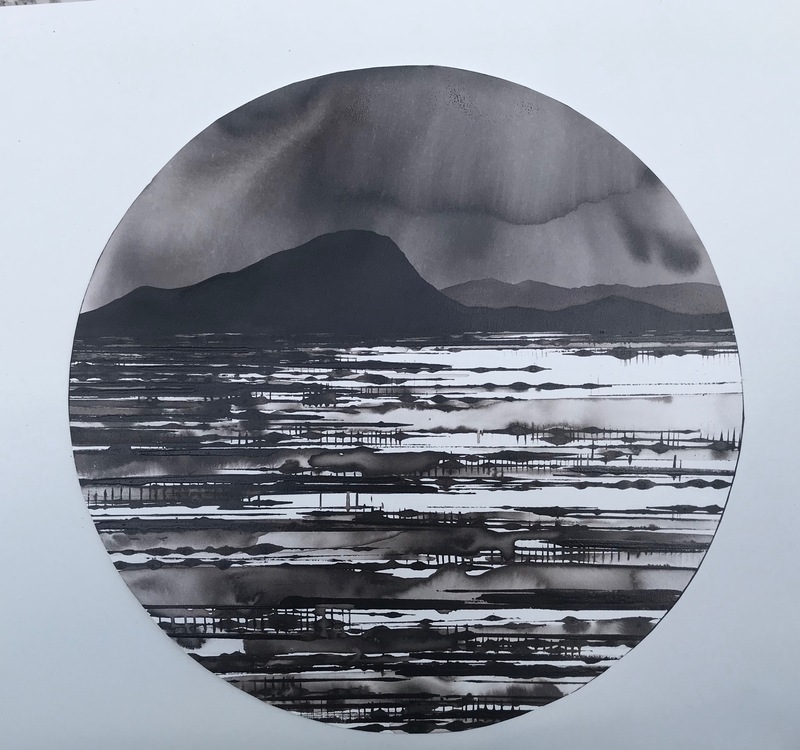 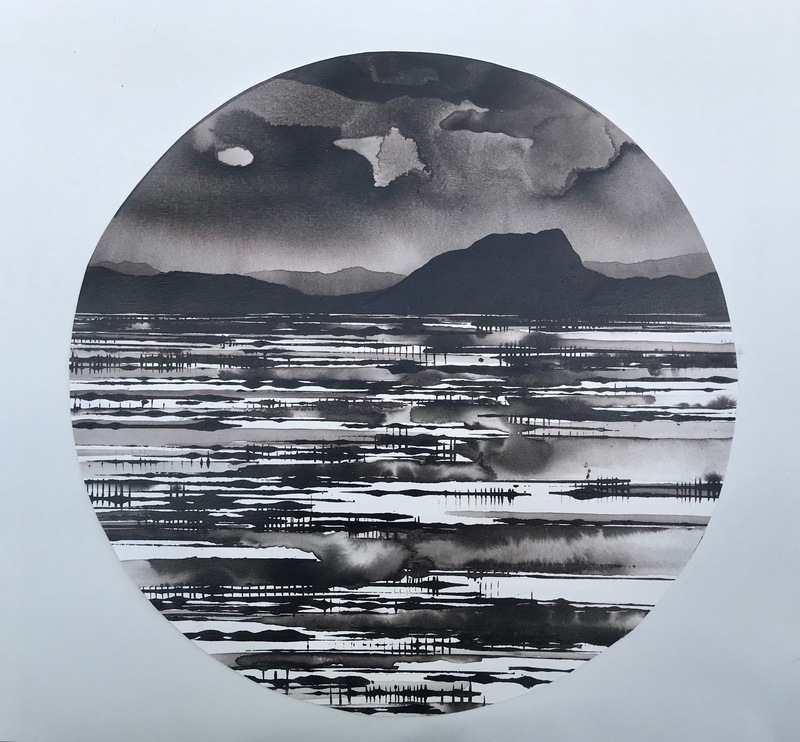 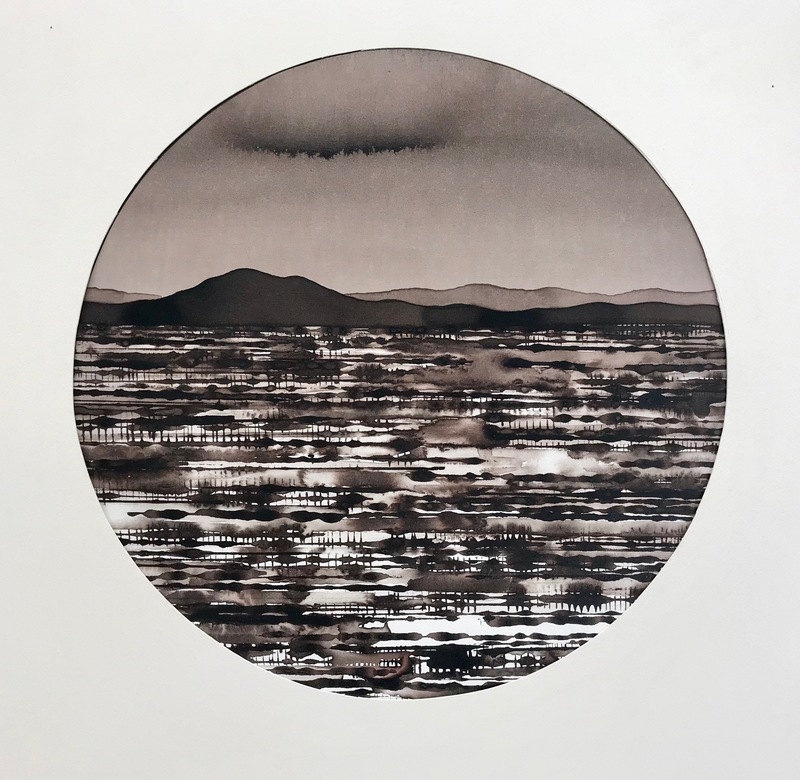 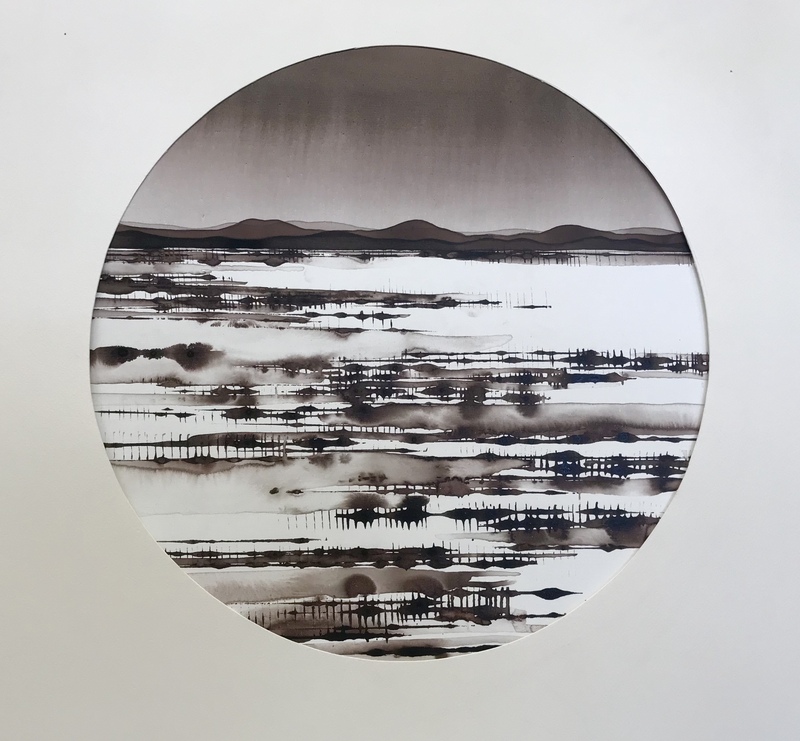 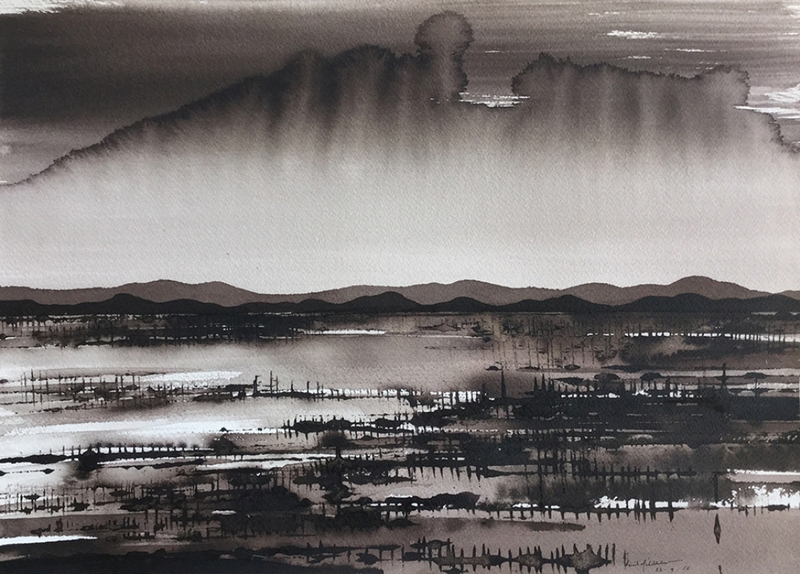 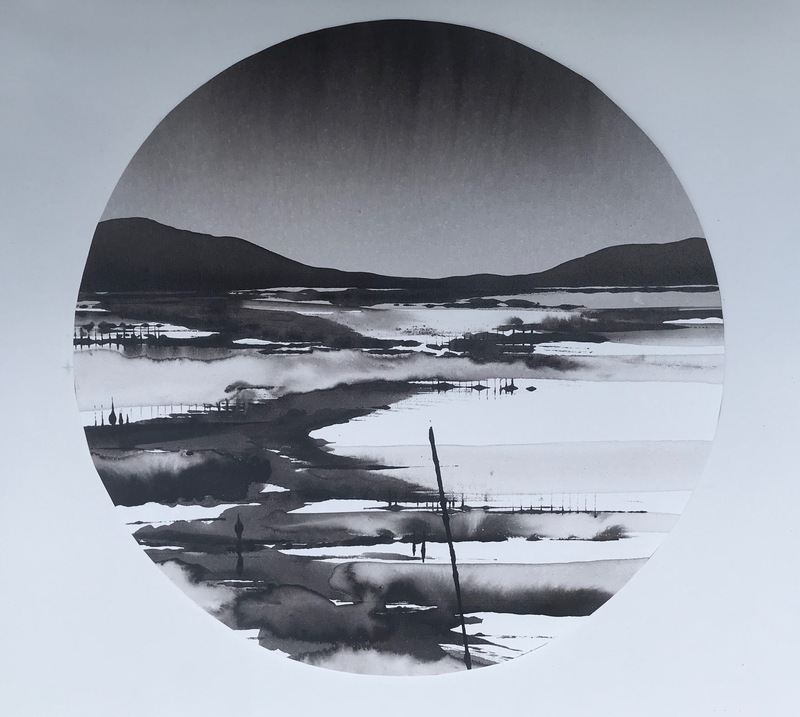 He had exhibited successfully with Art Atrium at Art Central Hong Kong in 2017, Sydney Contemporary in 2015 and 2017 and will be exhibiting with Art Atrium at Art Central Hong Kong in 2018. 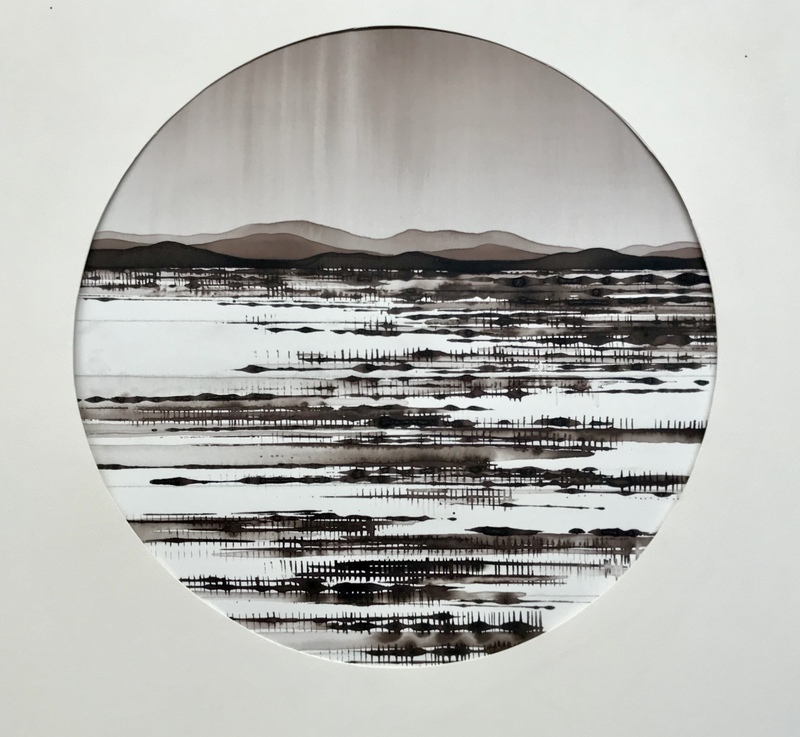 He was also selected for the Ningbo Museum Artist Residency program in Ningbo China for 2018. 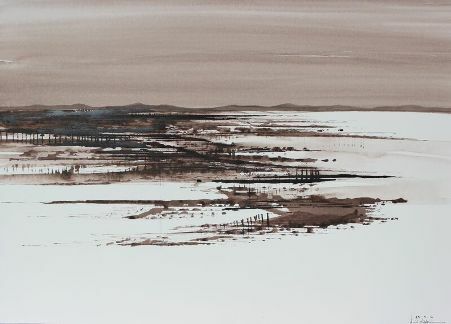 David Middlebrook’s work is in the collection of the National Art Museum of China in Beijing, Broken Hill City Art Gallery, Newcastle Region Art Gallery, Maitland City Art Gallery, Muswellbrook City Art Gallery, Moree Plains Gallery, Lake Macquarie City Art Gallery, Tattersalls Club, Brisbane, Forster/Tuncurry Regional Council, University of Newcastle, School of Fine Art, News Corporation, Sydney, William Bowmore Collection, Museum of the Senses, Sendai Japan, Trinity Grammar School, Summer Hill, John Hunter Hospital, Newcastle, Newcastle Permanent Building Society, Newcastle Conservatorium of Music, University of Newcastle, Crisp and Associates, Sydney, Price Waterhouse Coopers, Canberra.